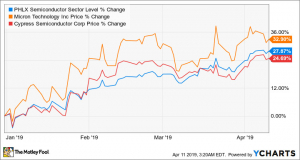 Memory chip manufacturer Micron Technology (NASDAQ: MU) is dealing with weak demand and slumping prices for its products. Prices for NAND chips, which are used for flash memory and solid-state drives, have been tumbling for a while. Prices for DRAM chips, critical for PCs, smartphones, and servers, have also started to decline as once-robust demand has dried up. 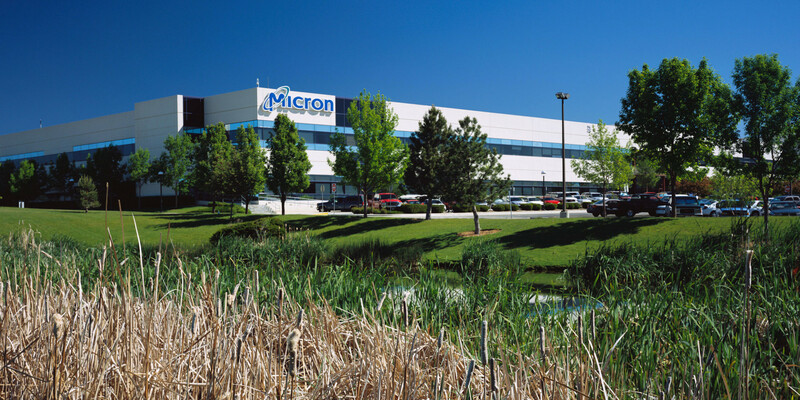 Micron expects a recovery later this year despite a slew of headwinds facing the memory chip markets. Global smartphone sales are in decline; sales of graphics cards have plummeted as NVIDIA and AMD work through excess inventory built up after the cryptocurrency bubble burst; some of Micron's cloud and enterprise customers are buying less as they work through their own excess inventory of memory chips; and various data center-dependent companies have warned about weakening demand, including Intel and NVIDIA. Not to mention trade tensions between the U.S. and China and global economic uncertainty. A pair of analysts is skeptical that a quick recovery is in the cards. 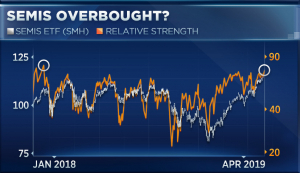 Goldman Sachs analyst Mark Delaney wrote in a note to clients, as reported by CNBC, "Our recent industry discussions suggest that memory fundamentals remain very soft, and prices continue to decline." Delaney said that scenarios that seemed unlikely six months ago have now become far more likely. Delaney's new base case for Micron's annual earnings per share is $3 to $4, which was the downside case last September. Micron reported adjusted earnings of $11.95 per share in fiscal 2018, which ended in September. Goldman's new base case forecast puts EPS as much as 75% lower.